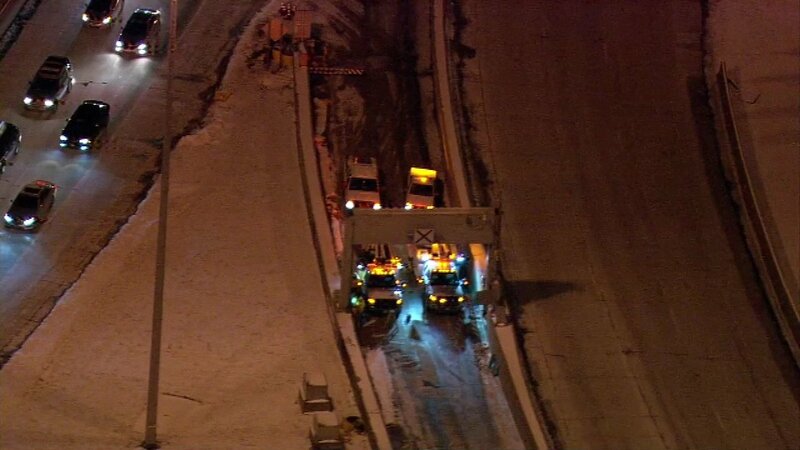 The Ontario feeder ramp to the express lanes of the outbound Kennedy Expressway is blocked due a gate malfunction. CHICAGO (WLS) -- It is still unclear if the cold caused a major headache for drivers during the evening rush. A gate malfunctioned on the Ontario feeder ramp to the express lanes of the outbound Kennedy. The gate blocked the ramp, forcing all traffic to squeeze into the local lanes.